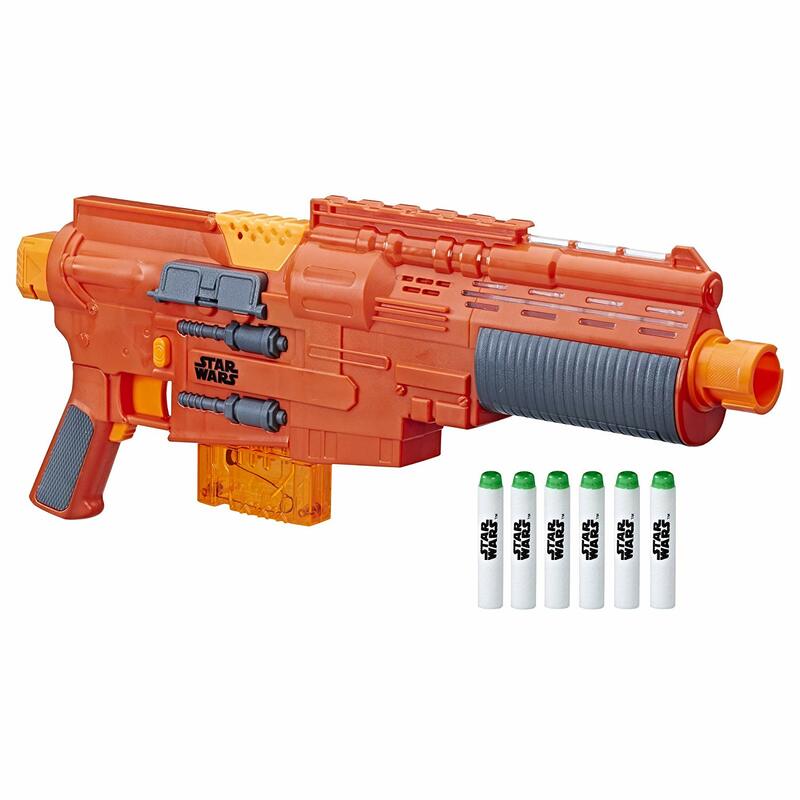 Amazon has the Star Wars Nerf Sergeant Jyn Erso Deluxe Blaster on sale for just $10.07 (regularly $49.99). This Star Wars Nerf blaster features GlowStrike technology that creates glowing light effects and charges the darts to make them glow when fired. The blaster’s acceleration button powers up the motor for motorized action and unleashes 6 darts in a row with clip-fed blasting. Illuminate Star Wars battles with the Star Wars Nerf Sergeant Jyn Erso Deluxe Blaster! Includes a 6-dart clip and 6 Elite GlowStrike darts.